Get help with financing or leasing a vehicle today! Finding the perfect car for sale is easy to do, but the thing that people struggle with is deciding whether they should finance or lease that specific vehicle. A major reason for this is because consumers have a difficult time understanding that these two methods of having access to an automobile affect them differently. There are some people who would rather receive the benefits from an auto loan, while others may prefer the rewards from a leasing agreement. However, either method can be used to help you get the best new or used automobile at an affordable cost. Buying or leasing? There are many factors to consider before deciding which option is right for you. Ownership Once you sign on an auto loan you are placed in position to be the owner of your car at the end of your loan term. A lease is just renting a car for a short time span, and it must be returned to the dealer at the end of the lease. Monthly Installments Vehicle financing tends to feature higher monthly payments due to the requirement to pay off the entire purchase price along with interest and other fees. The payments on car lease agreements are lower due to you only paying off the depreciation of the auto, as well as other charges. Up-Front Payments Most auto finance lenders will require you to pay a down payment, taxes, registration and other fees. Lease companies often ask you to pay the first month's payment, security deposit, taxes, registration, and possibly a down payment. Condition of Car How you treat your vehicle or how many miles you drive does not add additional fees or impact monthly payments, but it will lower your car's cash value if you plan on selling or trading it in later. Your auto lease contract outlines how many miles you can put on the car and you must return it with no serious damage done to it. Otherwise, you will be charged costly fees. Future Value Once your car loan has been paid off, you not only own the vehicle, but any cash or trade in value is yours to do whatever you want with. A leased auto's future value is less of a concern for people financially, but you won't own a car when your lease term is over. By examining the pros and cons that are listed above, you can determine whether a lease or loan is the right option for you. You just have to remember that while leasing companies only provide people the chance to acquire a new car for a short length of time at a reasonable cost, financing offers you a shot at ownership. How do Credit Scores Impact Leasing vs. Lending? Another thing that will impact your decision to apply for a car loan online or go the route of leasing is what your credit history looks like. Both lease and auto finance companies look at your credit score and use that to determine your interest rates, as well as how likely you are to be approved. However, where these two methods of driving a vehicle differ is in how easy or difficult it is for people with low credit scores to obtain them. Able to produce proof of a monthly income of at least $1,500. A current resident of the United States or Canada. In a position to acquire auto insurance. Employed full time or have a guaranteed fixed income. Able to show proof of residency, a working phone number, and a recent utility bill. Having these basic qualifications can greatly improve a person's chance to get approved for a car loan, but are not as beneficial to those with bad credit who are looking to lease. What to Do When You Have No Money to put Down? Buying a car with no money down and bad credit is one thing, however, also having the lender or dealer that can get you cheaper car payments is another. A lot of times you never see both of these scenarios at the same time. 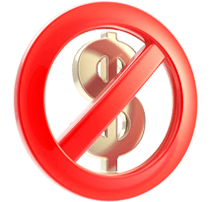 The truth is that most used car dealers will advertise for "0 down cars" or "0 down car loans" but that's not always true or there is fine print that no one can see. To qualify for a no money down car loan you typically have to have a higher credit score rating and excellent car loan history with payments. Majority of the people who qualify for a no money down car loan is able to afford a sizeable down payment. The requirement to make a down payment on a lease or car loan can impact your ability to get a used car loan with bad credit. By making a down payment you can secure a lower monthly payment and possibly a lower interest rate on your car loan. If you're hard fast on not supplying a down payment, you may be able get a no money down used car loan near you by getting a higher interest rate and paying more each month. The best decision financially would be to place a sizable down payment on a car, whether you have good or bad credit. When you put money down on a used car loan you're letting the lender or dealer know you're invested in the purchase you're about to make. By putting this money down you're shaving off the original price of the car and over a period of time the total amount you will have to pay. This may also reduce your monthly payments if you put a substantial amount down. Be careful, when you lease a car a down payment only effects how much you have to pay per month. It does not immediately effect the total amount you pay for the car unless you were to buy your car at the end of the lease. Depending on your situation it may be better to not put a down payment on a leased car and instead save that down payment for future expenses or paying off your debts if you have bad credit. Boston is a large city with a lot of history and if you live there or nearby and truly want to make the best of it you have to own a vehicle, but why not try out car leasing options. Are you searching for a vehicle in Atlanta, GA? 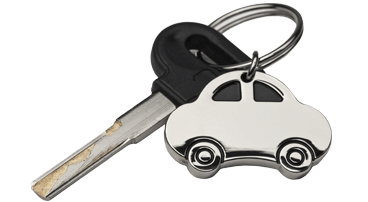 By leasing an automobile you can easily get into a vehicle with terms that fit your budget perfectly. Leasing a used car in the Dallas area once meant a lot of hard work on your part. You can now lease a used car easier, and you can even fill out the lease request form online.